Working to combat the enormous number of pit bull-type dogs whose lives end in high kill shelters merely because of the way they look. Focusing on the positive images and supporting all the great canine ambassadors is the best path towards ending the negative stereotypes of these wonderful dogs, once known only for their great loyalty and good will towards men. Overall responsible dog ownership is the key to changing perceptions of these dogs back to the ALL-AMERICAN FAMILY DOG reputation they once enjoyed. 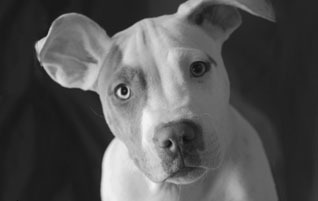 Since opening in 2007, SDR has rehabilitated and re-homed over 4000 unwanted, stray and abandoned pit bulls, bully type dogs, as well as many other types of dogs from all over the southwestern United States. All Smiling Dog adoptions come with spay or neuter, current shots, a microchip, and a GUARANTEE that if for some reason the dog does not work out with your family, we will always take him back. 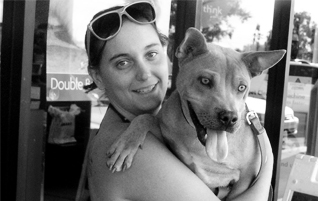 Learn how to volunteer your time, or your home, to an animal in need. 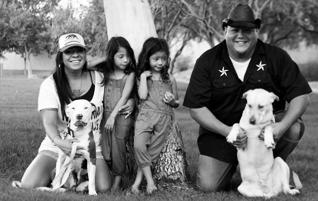 Smiling Dog Rescue is a 501(c)(3) non-profit charity organization based out of Tucson, Arizona and serving the southwestern United States. November 12, 2014 February 28, 2015 SDR in the News, Yipee! Rica Powell talks about the Huachuca City Puppy Mill dogs.